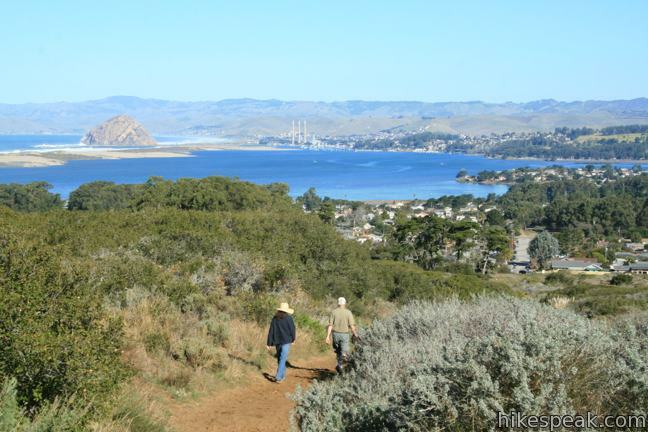 A great way to experience the beauty and biological diversity of the Morro Bay estuary is by putting on your boots and heading out on one of our many local trails. In honor of National Take a Hike Day, we’re bringing you suggestions for three local favorites in the watershed. Happy hiking! 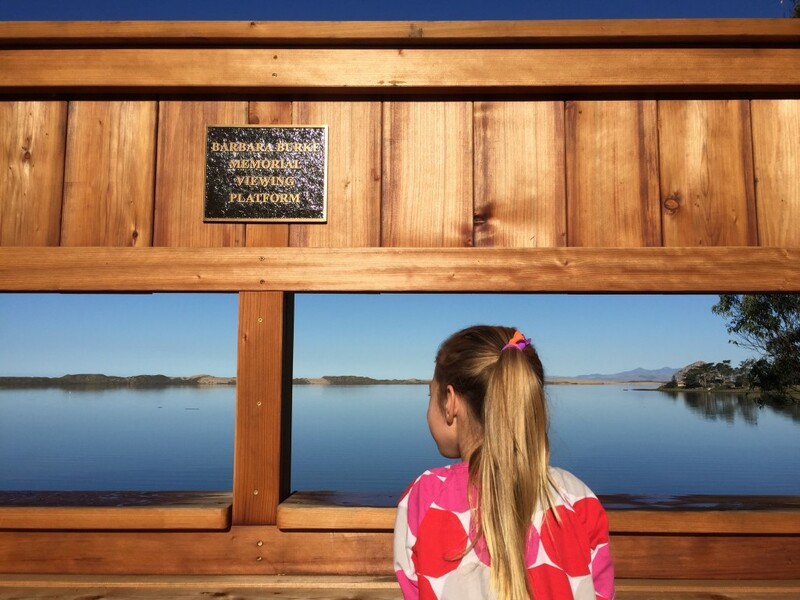 There is nowhere in Morro Bay that sparks the imagination more than the sandspit. 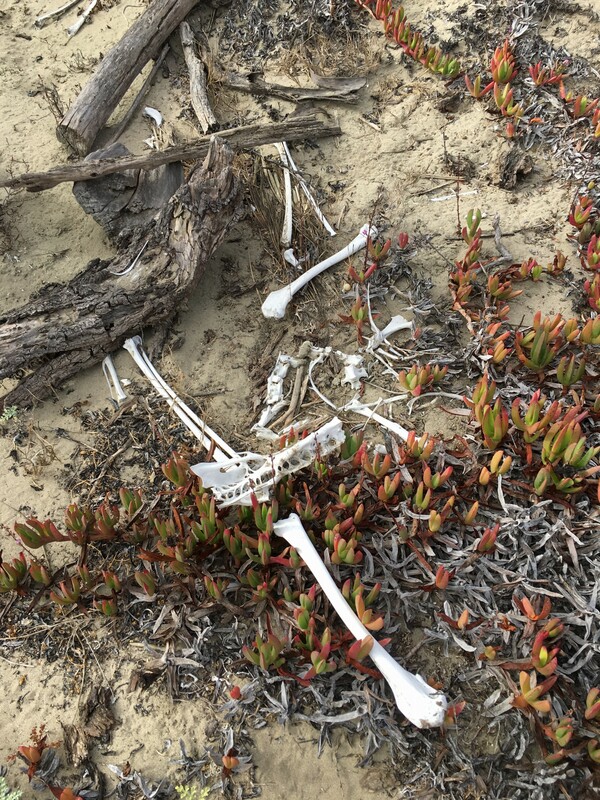 Physically, it divides the Morro Bay estuary from larger Estero Bay and the Pacific Ocean. Depending on who you talk with, the sandspit is also a figurative divider between the day-to-day world and a wilder, more beautiful one. 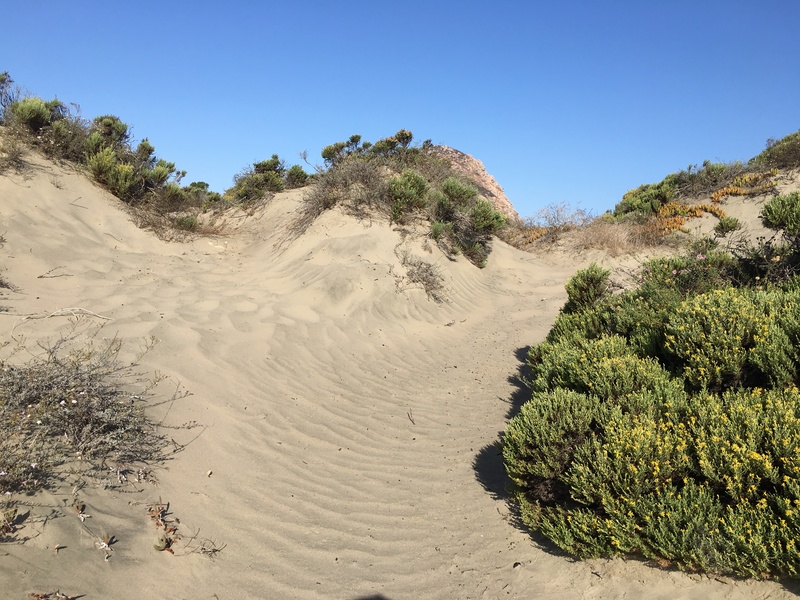 To enjoy the sandspit’s other-worldly beauty for yourself, drive to Montaña de Oro and follow the signs to Sandspit Beach. From there, you can park your car and hike as little or as much as you like. A trip from one end of the sandspit to the other and back runs about 9 miles. Along the way, you’ll get a whole new perspective on the bay from the top of some of the taller dunes. Make sure to check out both the estuary side of the sandspit as well as the ocean side. Keep an eye out for osprey circling, pelicans diving, and many shorebirds searching for food beneath the sand. You’ll also find beautiful shells, rocks, and the bones of birds and marine life. Please take as many photographs as you like, but make sure to give all wildlife the space it needs and leave all plants and other natural treasures where in place for the next dune-trekking adventurers to delight in. The Sweet Springs Nature Preserve, situated along the marshy edge of the bay in Los Osos, is a great place to visit. Come for an afternoon walk with unobstructed views of the bay and excellent bird watching. Visit at dusk, and you can see bats zip by overhead while you watch a colorful sunset from a bench along the pathway or on a viewing platform. The preserve has been owned and managed by the Morro Coast Audubon Society since 1989. On November 12, Audubon held a grand opening for their just-finished East Sweet Springs expansion project. This section of the preserve offers new dirt trails, a beautiful boardwalk, and a large elevated viewing platform complete with a bird blind. Sweet Springs is a great spot for nature-lovers of all ages. Here, a child stops on a walk with her family to admire the view from the new bird blind. Consider photographing any birds you see and adding them to the Morro Bay National Estuary Program’s Biodiversity project on iNaturalist.